Dreamcraft is the second cinematic MineCraft video from Brt5470, and it’s no less interesting than the first. 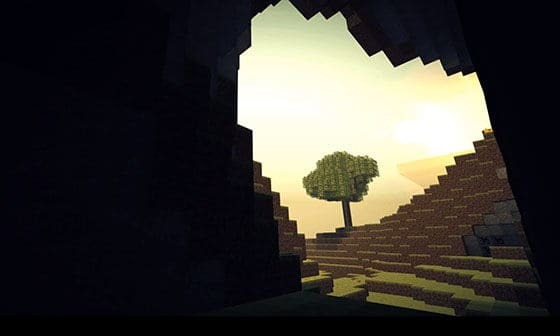 Brt5470 says that he wanted to create his own music video, and though I don’t exactly see this as a music video per se, Brt5470 has done an great job of creating mood and showcasing the interesting landscapes of MineCraft. Sit back, relax, and enjoy. As with the first video, the choice of music here is top notch, and you’ll quickly be whisked away to a fantasy world of lush landscapes, darkest nights, and blocks… lots and lots of blocks. Wasn’t that just full of beauty and emotion? Sure, it’s just MineCraft, but man did he do a good job creating something pretty out of a game that frankly, just isn’t very good looking to begin with. It’s just nice to see someone create a video that isn’t just another addition to the endless collection of Halo machinima videos. There are plenty of games out there, and most of them are far more worthy of YouTube stardom than Halo. Now, if you’re interested in seeing more of Brt5470s work (he’s now known as SirCrest) then header over his new YouTube channel. There’s plenty of great videos there, and from what I’ve seen so far, all of them are of the same quality or higher.